Rose runs corporate entertainment events for top companies in select venues across the UK. 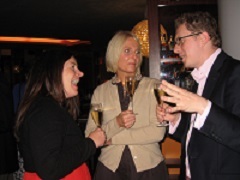 All corporate events are hosted by Rose Murray Brown, a qualified Master of Wine. 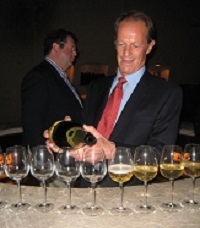 Rose has conducted corporate wine tastings in Edinburgh, Glasgow, Aberdeen, Newcastle, Manchester, Leeds and London. 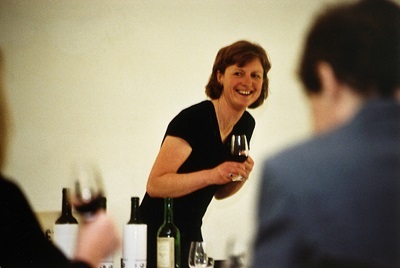 She offers the only corporate wine events in Scotland hosted by a Master of Wine. All events are tailored to your company's individual requirements. We can cater for 10 to 500 delegates. Contact Rose to discuss your particular needs, stating your expected guest numbers, for your own bespoke event. PWC, KPMG, Shell, IBM UK, State Street, Morgan Stanley, Barclays Capital, Martin Currie, Baillie Gifford, Charles Stanley, Semple Fraser WS, Royal Bank of Scotland, Direct Line, University of St Andrews, BBC, DLA Piper, Tyne Tees Television, The Scotsman Publications, SECC, John Lewis Partnership, Sainsbury’s, Grant Thornton, F&C Asset Management, Fleet Alliance, CIMCIGS, Crown UCP, Clarion Events, BDC - Country Living Magazine, Edinburgh Chamber of Commerce, Bank of New York, HBOS, The Leith Agency, Morton Fraser, Murray Donald LLP, Watson Wyatt, CIPFA, PKF, Travelport International, NHS & Brechin Tindal Oatts WS.